Success stories from leaders in advertising, marketing, search & social media. 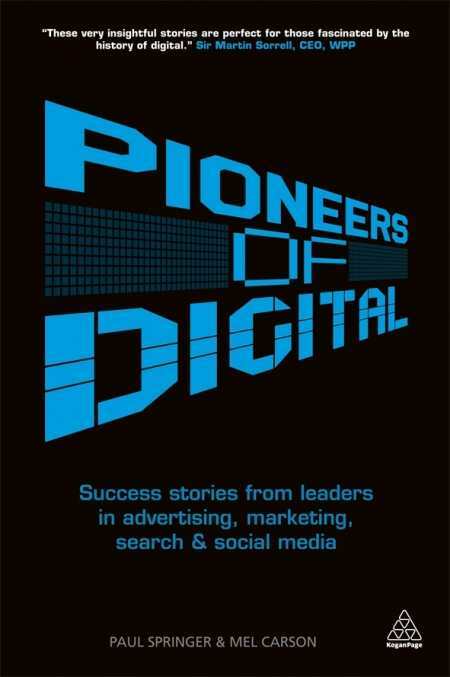 What makes this volume particularly interesting is the fact that each story is based on interviews with the pioneers behind a particular digital idea or campaign. The reader gains first-hand insight into the challenges faced by the pioneer and what he or she aimed to accomplish. In the story of Subservient Chicken, for example, Alex Bogusky, whose ad agency came up with the idea, recalls that “this whole thing was an after-thought in their [Burger King’s] minds. We thought it would be really cool, but in their mind we were meant to be doing TV spots. … They hadn’t thought about digital.” Subservient Chicken, a digital game that allowed users to type in commands and get an actor dressed as a chicken to perform, cost $50,000 to produce and got twenty million hits in its first week. Eventually, the game attracted fourteen million unique visitors and contributed to a 9 percent weekly sales increase of the “BK TenderCrisp” sandwich during the first month of the site launching. Springer and Carson have done a commendable job of collecting diverse examples representing a wide array of fascinating applications while drawing general conclusions about digital innovation. “Our aim with this book is to inspire,” write the authors. Most readers will find Pioneers of Digital does exactly that.